In one swift move, Sophia Bishop pulls the sweaty blanket off the corpse. She is a charwoman and responsible to lay out the frail body of the recently deceased. But she has no patience to consider the man’s final wish – that under no circumstances should he be changed out of the clothes in which he had died. After all, the man had had dysentery and he needs to be washed before his burial. Sophia, with washbowl, soap and washcloth at the ready, pulls off his nightshirt and, with a cry of astonishment, reveals a fifty year old secret. 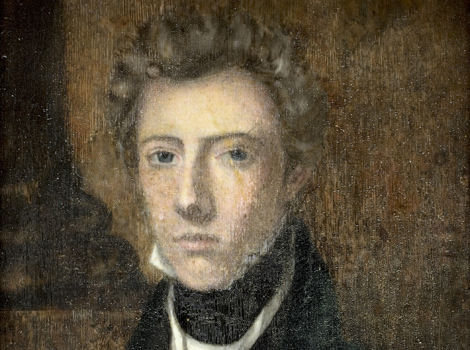 Dr James Barry, one of the most highly respected surgeons of his days, was in fact a woman. And yet, she managed to enter the school of medicine at Edinburgh University in 1809 at the age of fourteen. But she did so under the name of James Miranda Stuart Barry, an identity she would keep until her death. Margaret Ann Burkley hatched form her mother’s womb into the beautiful city of Cork, Ireland, at the end of the 18th century. She was a bright child who soon expressed the wish to be a doctor. But how could she ever study medicine? Her parents were but simple green grocers and did not have the funds to support their daughter. The situation worsened, as Margaret’s father was sent to prison when he could not pay his debts. But even if Margaret’s parents had been rich, she was only a girl and would not be allowed admission at a medical school. When Sophia Bishop pulled off Margaret’s night shirt, a life-long secret was revealed that embarrassed the British Military so much, they refused to publish an obituary and placed a 100 year embargo on Dr Barry’s military records. What a shame, that it was a woman who had given 50 years of loyal and distinguished service, who won great acclaim as a surgeon and was the first to perform a Caesarean section in which both mother and child survived (the grateful parents named the boy James Barry Munnik Herzog, who later became South Africa’s Prime Minister). Margaret was an extraordinary doctor with a fierce personality who successfully fooled the world for fifty years. Truth is stranger than fiction. I read the Silver Voice article and with a name and date change It could be Anna’s bio. How weird is it to find a real-life counterpart to a character you created? It’s actually pretty cool, especially since several people can’t believe that women like Anna existed. Barry is very interesting, because she was probably a mother, too, and had to hide her pregnancy (it’s not clear if the child died). This woman went through so much trouble to practice medicine for 50 years. Just thinking about it gives me goosebumps. Postmortem examination of the exhumed infants from Woburn Sands; Statement of Naturalist Pouch.